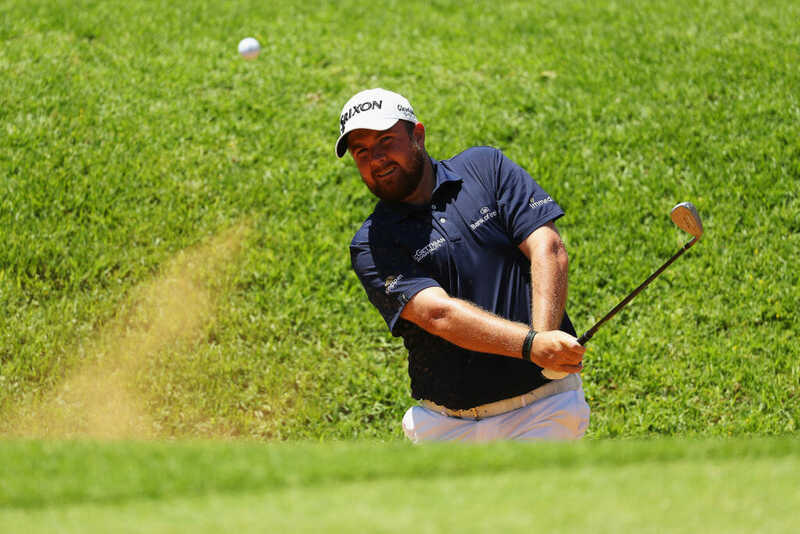 Shane Lowry fired a very useful three-under-par 69 to jump into contention at the halfway stage of the Nedbank Golf Challenge hosted by Gary Player. The Clara man negotiated the tricky Sun City track in fine style today, limiting mistakes to just one bogey while making hay with four birdies to boot. With his iron shots dialled in on a track that was always expected to suit, Lowry now finds himself in a share of 4th spot on four-under-par, just five shots off the lead. Meanwhile Rory McIlroy managed to get his name back in red figures with a one-under-par 71 this morning. The Holywood star’s progress has been hampered by silly mistakes over the first two days and four birdies coupled with three bogeys did little to repair the damage. Currently in a share of 19th spot on minus-one, McIlroy finds himself eight shots off the pace and will need to cut out the errors to challenge on a most unforgiving track. Further down the leaderboard, Padraig Harrington finds himself in a share of 37th spot on plus two after a one-over 73 today. While Paul Dunne improved on a disastrous 78 to start with a one-under-par 71 to move into a share of 57th spot on plus-five. At the top, Sergio Garcia will take a one-shot lead into the weekend in Sun City. “The course is tough,” reflected leader Garcia. “It’s not every day you’re going to go out there and shoot 64, it doesn’t work like that. I feel like I played quite well. “Three three-putts, that’s never ideal but on these greens it can happen. They are so quick and some of the pins are so tucked to the edges that it’s difficult to hit it close to them. Other than that, I felt like I played well throughout the whole day. “I wish I could see the future and tell you exactly how the weekend is going to go, but I’m trying to play consistent like I played the first two days, give myself a lot of birdie looks and you know, realise that the course is tough. It’s not that easy to go out there. Just because I shot eight under on the first day doesn’t mean you can do it every day. It’s a difficult golf course. Finn Mikko Korhonen was then at six under, two shots clear of home favourite Dylan Frittelli, English pair Aaron Rai and Lee Westwood, and Ireland’s Shane Lowry. In the quest to stay in the hunt for the Race to Dubai next week, Li Haotong and Lucas Bjerregaard both need a win but were six and ten shots back respectively, while Rory McIlroy – who needs a top-two finish – was at one under. Defending champion Branden Grace, fellow South African Darren Fichardt, Belgian Thomas Detry, Frenchman Mike Lorenzo-Vera, Italian Andrea Pavan and England’s Matt Wallace were alongside Li at three under.